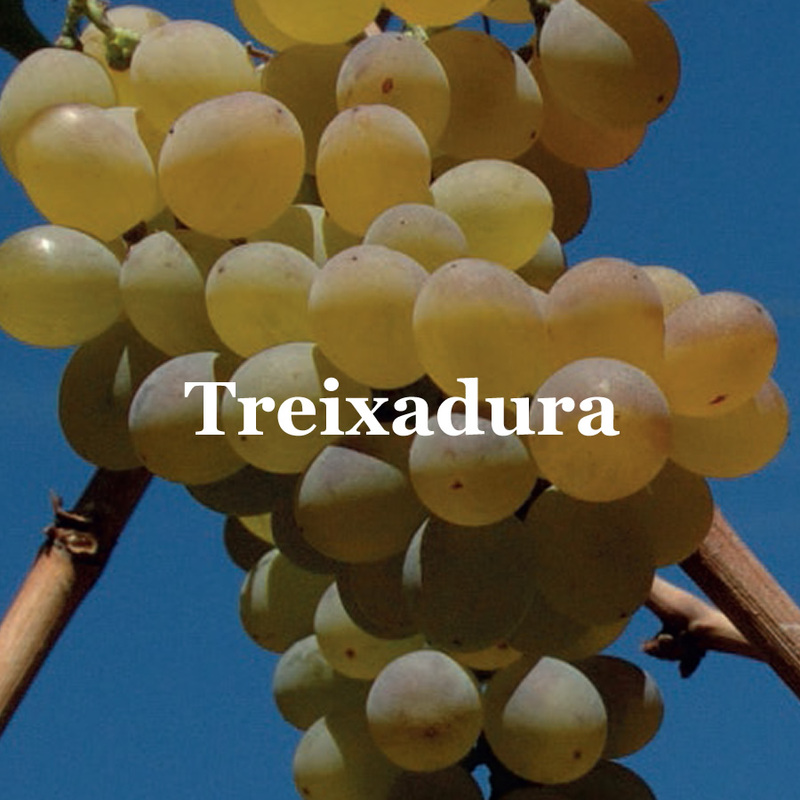 Refined and smooth, the Treixadura grape is a white grape, the jewel of the Ribeiro vineyard. It sprouts and ripens slowly, therefore it is sensitive to altitude. It is grown mainly in valleys and slopes which are well-orientated. It is slightly vigorous and its excellent quality production goes from 12 to 15 Tn/Ha. It is not very resistant to droughts and needs warm soils. It is moderately susceptible to oidium and mildew strongly to Botrytis cinerea (grey mould) and excoriose. The produced wines taste aromatic, with a fine bouquet, elegant with a shade of fruit, delicate flower highlights and a balsamic touch. They easily reach 12-13.5º of alcohol that compensate the total acidity of 5.5 and 7 gr/l of tartaric acid which make them fresh, balanced, delicious and unctuous. It is possible to find single-varieties Treixadura wines in Ribeiro but the majority consists of mixtures made with other native varieties but with a predominance of the Treixadura grape. This is how we get balanced wines from the vineyard, wines that are different and unique. The wines with a Treixadura predominance evolve well in bottles.